Elephant seals were born to swim, and scientists have the data to show it. For the first time, researchers at the University of California have tracked the diving behavior of northern elephant seal pups on their inaugural journeys into the open ocean. Like videos of a toddler's baby steps, the recordings show the 300-pound youngsters learning to dive, hunt, nap, and navigate at sea entirely on their own. Scientists have long known that Mirounga angustirostris are extreme aquatic athletes. Adults can dive a mile deep, hold their breath for nearly two hours, and stay at sea for up to eight months at a time. Only southern elephant seals and a few whale species can dive deeper and stay under longer. Despite having flippers for feet, and torpedo-shaped bodies, young elephant seals face a daunting struggle for survival in the ocean. “Pups have the farthest independent migration of any mammal. They are able to travel thousands of kilometers in the ocean and find their way back to the beach with no buddy, no map, and no compass,” says Roxanne Beltran, a postdoctoral fellow in the laboratory of UC Santa Cruz professor Dan Costa. “We really wanted to tag these pups at weaning and get their first dive in the water all the way up to their first year of life to see how their diving develops,” Beltran says. 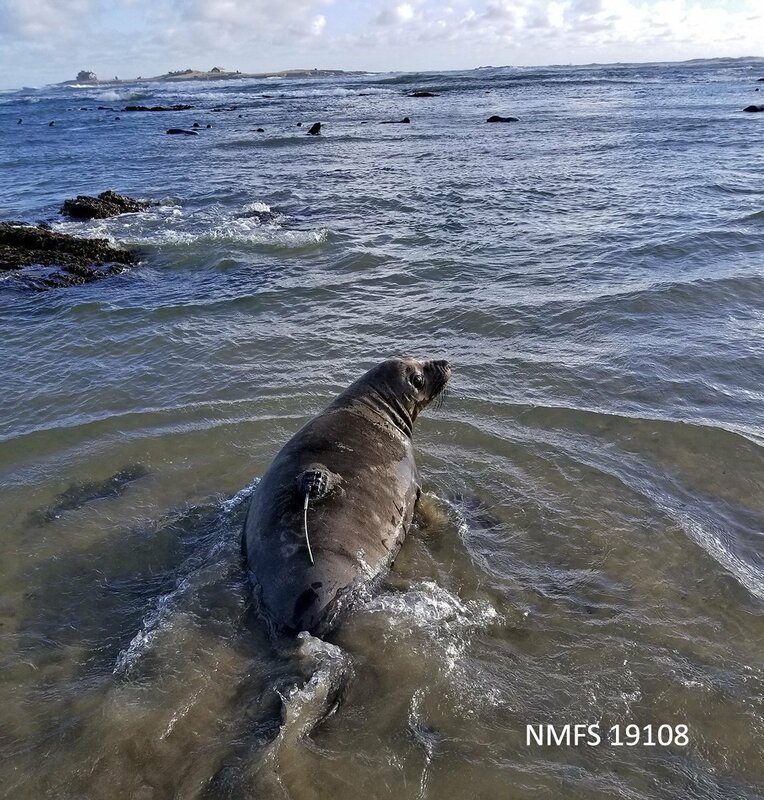 Beltran and her collaborator Patrick Robinson were awarded funding from National Geographic to deploy tracking tags on pups born at Año Nuevo Island Reserve on the San Mateo coast. The reserve is one of 39 wildland sites in the University of California Natural Reserve System. 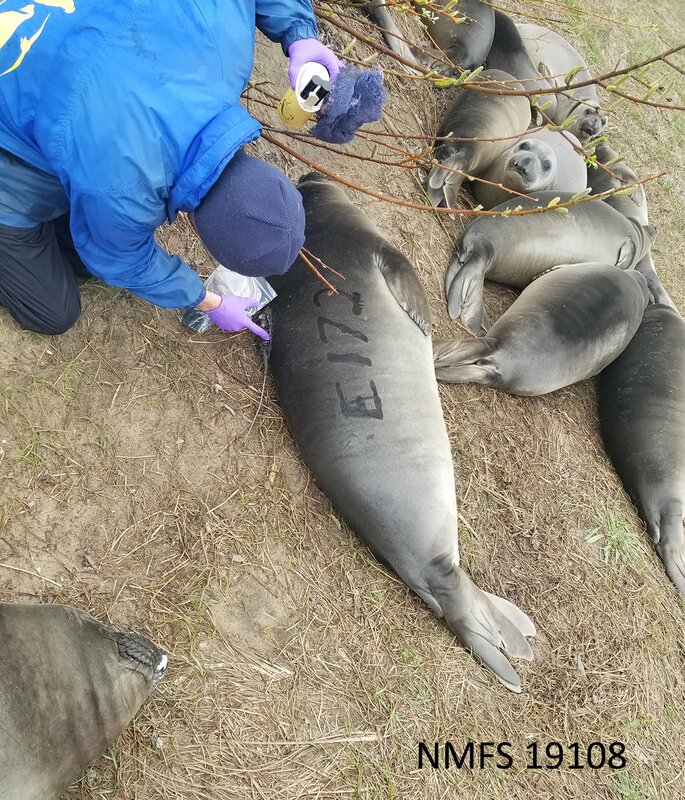 To follow the novice swimmers, the researchers enlisted a team of graduate and undergraduate students attached tracking tags to 24 just-weaned elephant seal pups in March 2018. The tags were programmed to record depth, temperature, and light levels every few seconds. The timing of sunrises and sunsets enables scientists to deduce a seal’s location. The scientists then watched the pups fast on the beach and frolic in the breakers for another month, long after their mothers had departed for their next ocean trip. Then one by one, following some mysterious inner signal, the youngsters plunged into the waves and disappeared. That was the last Beltran saw of the animals for the next year. Weaned elephant seals tend to conclude their first trips to sea in late autumn. 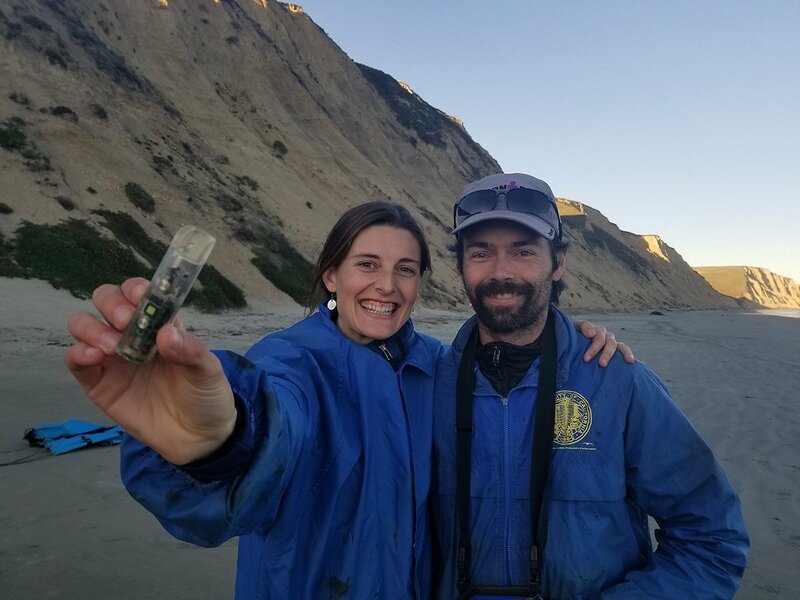 So in early December 2018, Beltran and colleagues began waving around a VHF antenna at Año Nuevo hoping to detect the transmitters on the pup tags. The researchers’ long wait ended two days after Christmas. 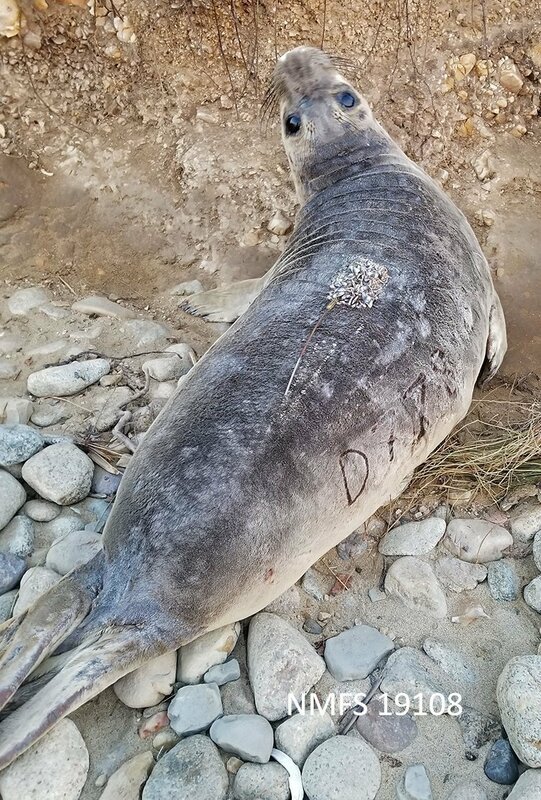 A woman strolling Drake’s Beach at Point Reyes National Seashore called to say she’d spotted an elephant seal pup wearing an instrument package. Beltran and Robinson piled into a car and raced north to nab the seal. With an hour of daylight to spare, and after a two mile beach hike to the pup’s last reported location, they picked up the tag’s signal beep. “It’s a biologist's favorite noise,” Beltran says. After cornering the now slightly longer and slimmer seal, and snipping off her barnacle-encrusted tag, the scientists decided to scan for more pups. Miraculously, they heard a second ping further down the same beach. Just 15 minutes before sunset, they scrambled down a steep cliffside trail, trying not to fall given the government shutdown and lack of potential emergency help. 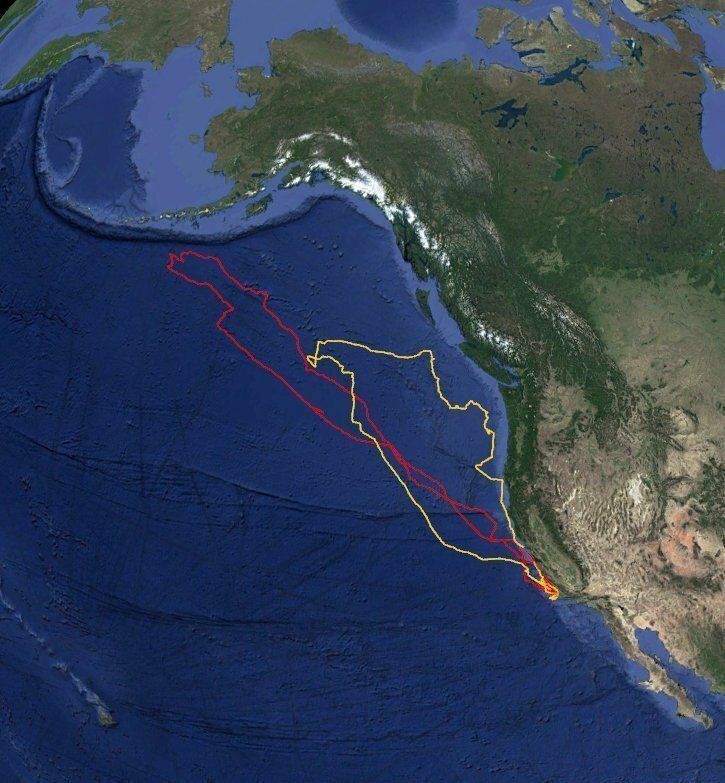 The pup surrendered its tag peacefully, and the scientists were back on the road with their prizes by 6 p.m.
Only one more of the tagged pups has been spotted since, paddling around the Farallon Islands. However, that animal didn’t come ashore. Beltran has been keeping busy analyzing the data from the two recaptured female pups. The young seals turned out to be formidable swimmers almost from their first plunge into the waves. One pup’s first dive was to an astonishing 90 feet. After three days, she was regularly reaching depths of almost 790 feet. 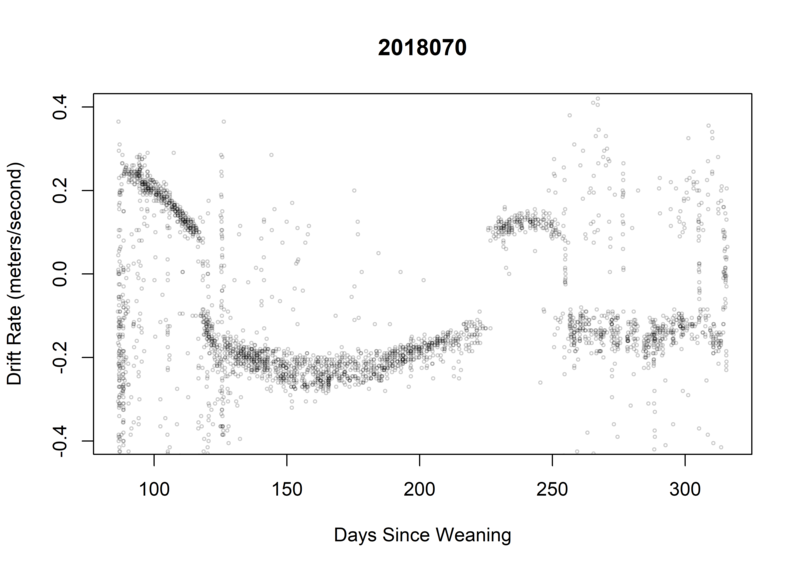 By three weeks, pup dives showed the shallower by night, deeper by day dive pattern characteristic of hunting adult seals as they follow the daily migration of fish up and down the water column. Within two months, pups alternated between depths of 700 to 2100 feet for these hunts. “We were really surprised to see how fast their dive ability develops. They’re very, very quickly learning to be elephant seals,” Beltran says. Within a month, pups regularly made so-called drift dives, which are thought to enable seals to sleep or digest meals. At the bottom of their dives, the seals passively drift up or down, depending on how fat they are. A close look at the recordings shows the pups performed learner-permit versions of adult behaviors. For example, though they reached depths similar to adults, pups clearly had less breath holding capacity, and returned to the surface much faster. “I think they’re doing training dives” to test their limits, Beltran says. Pup resting behavior was markedly different as well. While adults might spend hours making one drift dive after another, pups made only a couple such dives in sequence. “The weanlings could be taking little naps like kindergarteners.” Beltran says. 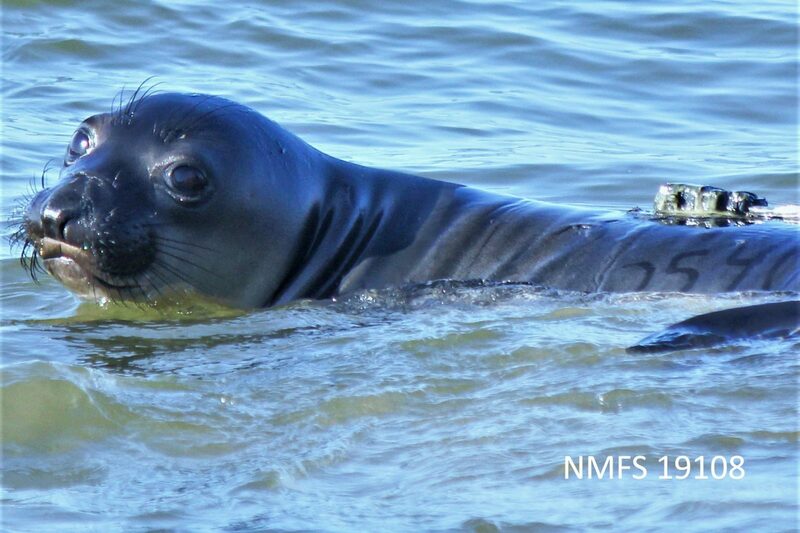 Drift dives also offer a window into a seal’s hunting success. The faster an animal drifts upward, the more fat it’s carrying on board. The recordings show the pups begin their journey plump as stuffed sausages, popping to the surface like corks thanks to their mother's milk. (Northern elephant seal milk is 55 percent fat, while cows milk is 4 percent fat at most.) In the first weeks of their journey, the youngsters grow markedly leaner and less buoyant. A full six months into their ocean trip, the pups start packing on blubber again, indicating they’ve finally learned to fish. The fact that pups can survive half a year with virtually nothing to eat is a testament to how much energy mother seals transfer to their babies in a month of nursing. “Since the mom can’t show her pup how to swim or where to feed, that is what the she can do to get the pup ready for its first trip to sea,” Beltran says. Perhaps most intriguing was how the pups’ journeys compared to adult male and female patterns. Adult males make shallower dives down to the continental shelf while traveling north to Alaska, while adult females head west toward Hawaii and hunt at deeper depths. Males put on three times more mass during their northerly trips. This suggests the north Pacific is richer in food, but their strategy appears riskier as fewer males survive. The pups melded features of both adult male and female trips. They headed toward the Aleutians more like males, but traveled farther off the continental shelf, enabling them to make some deeper dives. If pups are already balancing on the razor’s edge of survival, they could be more sensitive to global climate change than older animals. Models have indicated that ocean warming is likely to push the seals’ prey deeper and farther north—bad news for the already-challenged weanlings. Beltran and colleagues still hope to recover more pup tags in the near future. The scientists figure they have one more window of time to find the young seals—when they return to land from their second trips to sea in March and April to molt. After that, the tags will fall off and could be lost forever. Whether or not she and her colleagues are able to nab more data, the pup study “is some of the most exciting science I’ve ever been a part of,” Beltran says. For Beltran, the project marks the second time she’s conducted research in the NRS. As an undergraduate at UC Santa Cruz, she examined the recovery of native habitats after non-native cattle and sheep were removed from the NRS’s Santa Cruz Island Reserve. She went on to study Weddell seals in the Antarctic for her doctoral research, and used those experiences to inform A seal named Patches, the children's book she wrote with Robinson.